Lasse Vigen Christensen's extra-time goal gave Championship side Fulham a deserved 2-1 victory over Premier League Middlesbrough on Wednesday, sending them through to the third round of the EFL Cup. 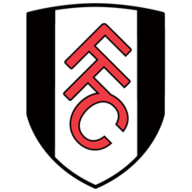 Fulham, who made 10 changes for the tie at Craven Cottage, had to recover from conceding a goal after only eight minutes to David Nugent. But they fought back superbly after the break as Julien De Sart's 54th-minute own goal and Christensen's dramatic 113th-minute strike sent Slavisa Jokanovic's men through to the delight of the home crowd. In a match which started in 32 degree heat but quickly deteriorated into rain and thunderstorms, both teams made changes from the previous weekend's league programme. 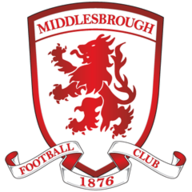 Middlesbrough manager Aitor Karanka, who led his side to a 2-1 Premier League victory at rivals Sunderland on Saturday, left two-goal hero Cristhian Stuani on the bench as he made six changes to his team in all. Fulham boss Jokanovic went even further. He made 10 changes from the team which drew 2-2 with Cardiff in the Championship and handed 17-year-old Dennis Adeniran a place in midfield. Perhaps understandably, Fulham took time to find their feet and Middlesbrough took full advantage, making a breakthrough early on. There were only eight minutes on the clock when new signing Fabio Da Silva, a £2 million buy from Cardiff, crossed from the left and David Nugent glanced home a header from close range to put the visitors ahead. The goal came at a cost for Karanka's side, however, as Fabio pulled up with an injury soon after and had to be replaced by George Friend. Fulham created their first real chance after 24 minutes when Cauley Woodrow shot from close range but saw Brad Guzan save the effort with his feet - and then they really stepped up a gear after the break as Boro grew weary. Woodrow again had a shot blocked after 48 minutes and with Adeniran and Adetayo Edun providing lively cameos the Championship side grew into the game. The equaliser came after 54 minutes following a flowing move which ended with Ryan Tunnicliffe finding Scott Malone on the wing. Guzan made a stunning save from the left-back's deflected shot but the ball hit De Sart to end up in the net for a cruel own goal. Five minutes later and Fulham almost snatched the lead - but this time Guzan was able to tip Woodrow's effort over the bar. By this stage Jokanovic's side were well on top, also seeing an Edun shot deflected over the bar in the 78th minute. Tiring Boro were dealt another injury blow, too, when substitute Friend had to go off injured in the 90th minute as the tie went to extra-time - not good news for Karanka ahead of Sunday's trip to West Brom. Watch EFL Cup goals NOW! Fulham continued to impress as Jozabed tested Guzan with a volley after 100 minutes and substitute Matt Smith thundered a header narrowly over the bar - before Sean Kavanagh's effort beat Guzan only to be blocked on the line by Ben Gibson. The goal was coming and it duly arrived in the 113th minute when Christensen swept home from close range following another excellent low cross from the left by Malone.